Researchers at Løøflirpa stated that the new engine is able to make use of the reaction between dihydrous oxide, nitrogen and organic compounds within urine, which is passed through a thermolytic chamber within the engine to release a non-toxic gas that provides the necessary compression for combustion within the piston chambers. The natural gas is very clean-burning and produces very little exhaust, apart from trace amounts of CO2, methane and water. “I think we’ve found the ultimate biofuel,” said Avril d’Poisson. Further trials by the Løøflirpa research team are underway to fine-tune the small four-cylinder engine, known as the 1411-P. State-of-the-art electronic injection and filtration componentry have aided smoother running. “The performance of the engine seems to depend on what has been eaten within three hours prior to filling the engine,” said Tonto Necio. “Our researchers are experimenting with various foodstuffs to find the optimum biofuel blend – so far, a combination of high fructose and complex carbohydrates seems to work well.” Dr Necio concluded by stating that research is still ongoing and that more volunteer participants are needed to continue the refining process. For further details and for information on how to contribute to the 1411-P project, visit www.looflirpa.com. WOW! 20% Off a New Car- you gotta believe it. Every so often a ‘deal of a lifetime’ comes across our desk. But, to be truthful, we’ve never had a deal like this before! If you are thinking about buying a new BMW just have a look at this deal- it’s almost unbelievable, but true. We can supply an almost new BMW Corporate 535i 2010 model saloon at $40,000 below retail. It’s Space Grey Metallic with Veneto Beige Dakota, has over $40,000 worth of extras, including adaptive drive, adaptive cruise control and virtually everything else you can think of. It retails for just over $190,000 but we can source it for you with a staggering 20% saving, and delivered to your doorstep. If you are interested then contact FrankHough@privatefleet.com.au now before someone else snatches up this’ deal of a lifetime’! 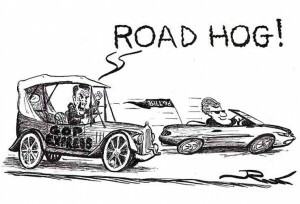 Only in America – the Driverless Car. Writers and filmmakers have always dreamed about cars that drive themselves – take Herbie, for example. Now scientists are getting in on the act and GM has come up with a “driverless car” – a car that really drives itself in much the same way that a UAV (unmanned aerial vehicle) flies without a pilot. Yes, you did read that right. GM have made a car that doesn’t need a driver. What’s more, the head of the driverless car project at General Motors, Raj Rajkumar, sounds pretty confident that this vehicle will be on our roads by 2015. So far, GM have managed to create a prototype, based on a Chevrolet Tahoe, that has been photographed whizzing around a test track. And they’ve taken it beyond the test track, apparently. This highly modified Chevy (it’s got a whole heap of gadgetry stuck on the roof) has been driven (or, more correctly, has driven itself) along public roads in California and managed to cross the Golden Gate Bridge without any untoward incidents. The motivation behind this self-driving car is, apparently, safety. The idea is that a machine doesn’t get distracted by cellphones or kids in the back, suffer from Lead Foot Syndrome or misjudge a curve, and therefore drives within the speed limit and drives safely. However, my personal opinion is that URVs (unmanned road vehicles – I made that term up) won’t be as popular as electric cars. Those of us who like to drive will hate these vehicles as things that spoil our fun – a self-driving car sounds about as bland and as boring as a food concentrate that delivers all the nutrients of an old-fashioned Sunday dinner straight into the stomach without the pleasures of taste and texture. And others of us who can take or leave driving are likely to be sceptical about leaving our safety completely in the hands of electronics. Electronics are wonderful when the work but I, for one, would not like to be a passenger in a driverless car that suddenly decided to go haywire at 100 km/h. And we’ve all got stories about when GPS navigation decided to send us along some peculiar route. What’s more, can these driverless cars detect and react to roos on the road, as often seen in the Outback? But then, on the other hand, we’ve all flown in planes with an autopilot function, so you could say that this is the motoring world catching up with aviation, which has had autopilot and UAVs for years. GM says that the car has got a manual over-ride, similar to the autopilot function in planes, so that is reassuring. The brains behind the driverless car seem to be raving about how you can check your email, use your phone, read the paper and catch up with some paperwork while the car drives itself (it will alert you when it wants you to take over, apparently). Speaking for myself, I’d say that a vehicle that lets you do all this while you commute has already been invented: it’s called a bus. What are your thoughts? Would you want a self-driving car or do you prefer to be well and truly behind the wheel? Chery, Chery baby! 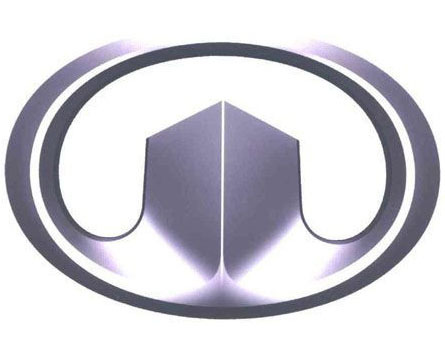 Here comes another of China’s vehicle manufacturers! At a time when the legendary Frankie Valli and the Four Seasons are actually performing a one off show live in Australia, how appropriate is it that Ateco have launched the new Chery brand. Sadly most of the demographic that they are targeted at have never heard of Frankie Valli, but go and see Jersey Boys and you will see the link, albeit a very bad play on words! Chery is one of China’s largest auto manufacturers, making over 700,000 vehicles last year. In China, they offer 32 different models, from the very small, to sedans, SUVs and vans. Here, they are opening their account with just two models, the JI hatchback and the J11 compact SUV. With prices from just $11990 drive away for the J1 and $19990 drive away for the J11, they will obviously attract some attention, especially given the standard features at this price level. The J11 undercuts the most affordable SUV previously available in Australia, Suzuki’s Jimny ($20,490, plus on-road costs), by about $3000 and is also $4000 cheaper than Great Wall’s conceptually similar X240 ($23,990 drive-away). For the startlingly low on-road price, which is at least $6000 less expensive than the lowest-priced small 2WD SUVs from mainstream brands, the J11 comes fully equipped with leather seat trim, air-conditioning, power windows and mirrors, a four-speaker CD/MP3 sound system, 16-inch alloy wheels, fog lights and remote central locking. But what about safety? Yes, it is an issue and Ateco are saying that these initial offerings are 3 star safety rated. They only have two front airbags and they do not have electronic stability control (ESC) so they will not be initially for sale in Victoria as this is now mandated as a standard feature. However their 45 dealers spread across the nation are expecting to sell around 5000 Cherys this year, along with a 3 year , 100,000 klm warranty. That would be an amazing effort from a standing start. Later in the year we will have a Corolla sized ‘J3’ which I am told will sell for under $25K with every option including leather and heated seats and I have no doubt that the next generation will have all of the expected safety features offered by their Japanese and Korean rivals and they will be snapped up. Interestingly in Sydney, there are only 3 Dealers, all currently in the West, which shows they have done their demographic marketing and the vast majority of Dealers are in country areas, where Ateco believe the buyer is more frugal. Probably right! Their marketing slogan is ‘Why would you pick anything else?’ and let’s face it, who wouldn’t prefer a brand new car with that new car smell, instead of the 5 year old Yaris or RAV4? Watch used small car resale values drop again as a result of this predatory pricing! I think, barring any build quality disasters, Chery will very quickly get to where the Japanese did in 40 years and the Koreans have in 25. I firmly believe that if you build good looking, quality, safe, well specced, well priced cars the market will come to you. Ask Mazda and Hyundai!! I filled up with fuel at the weekend and to my horror my turbo charged VW Eos demands 98 RON fuel and I paid a staggering $1.67 per litre! Since when did premium unleaded become 17cents more than normal unleaded?! When 98RON fuel was first introduced it was around 6 cents a litre more than the standard stuff and fuel was around $1.15 per litre. So can anyone tell me what justification there is for this massive hike? Or is it just another example for the Oil companies taking us for a ride. Yes, there are more and more high performance cars demanding higher octane fuel, so are the Oil companies seizing on this to make even more profits? Surely not? They wouldn’t would they? However, on the day, even normal unleaded was $149.9 per litre, albeit ‘down’ to $1.38 today and we are told that the situation in the Middle East, particularly Libya will see these numbers head towards $1.60 in the near future, making my fuel $1.77 per litre! Where will it all end? Remember our dollar is at near record levels against the US$, so if that went down as well we would be very quickly near the $2 mark. Our friends in New Zealand are already paying over NZ$2 per litre, so don’t think it won’t happen here. Well, you can ditch the gas guzzling 6 or 8 cylinder, if you haven’t already, and do what the vast majority of us are doing now, drive a car with an engine smaller than 2 litres. The Poms have been doing this for 25 years. A 2 litre car is a big engine there, mind you there fuel is already well over $2 per litre and has been for some time. You can ditch you existing high performance turbo 2 litre and buy something even more frugal and smaller, like a Ford Fiesta, Suzuki Alto or, dare I say, a Toyota Prius (don’t do it!). Actually all manufacturers are hell bent on reducing fuel economy and some of the new cars have previously unheard-of of fuel economy figures, down into the 4 litres per 100 klms, approaching 70 miles per gallon on the old scale. Buy a modern diesel car, you will get fantastic economy and torquey performance without the rattle of a London cab, and better resale than its petrol equivalent, believe it or not. Keep your tyre pressures up. Low tyre pressures not only reduce tyre life, but increase fuel economy dramatically. Take your golf clubs out of the boot, unless you are actually on the way to or from the golf course. Take off from the lights smoothly; it is not a race and you will not get there any quicker, but you will save fuel if you accelerate smoothly. Look ahead and anticipate speed changes rather than hurtling up to the next traffic jam and slamming on the brakes. You will be amazed how much fuel you will save. Like it or not, I think these levels of fuel costs are here to stay, China and India’s thirst for oil, a reduction in supply, the Middle East crisis all point towards prices going up, so it is best to get used to it and do something about your personal fuel costs. Oh and you may even help the environment as well as your wallet! You’ve probably heard the latest call to ban mobile phone use in cars – even if they are hands free. We are told that tough new laws to ban all mobile phone use in vehicles are being considered by transport ministers after a report found that even hands free devices dramatically increased the risk of crashing. A spokesperson admitted it would be difficult for many people to stop using hands free phones, so the first stage of the strategy would be to encourage drivers of heavy vehicles, buses, taxis and government cars to stop using hands free voluntarily. It seems that several police authorities support the ban, as Superintendent Max Mitchell of the NSW police force commented:- “In my view it is just as dangerous as speed and drink driving.” Others contend that using a mobile phone is the equivalent of driving with a 0.08% alcohol level. It looks like this is an onerous step towards a total ban, so let’s examine some of the arguments for and against. Driving is a difficult and dangerous undertaking and anything that can eradicate any distractions is worthwhile, and must be vigorously pursued. If you ban hands free you should ban kids in cars, billboard advertising, radios and chatty passengers. 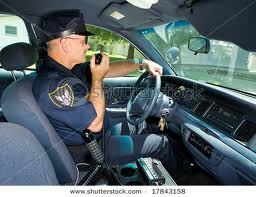 What about CB radios in trucks and police cars – will they still have radio communication, or will they be an exception? If so, why? 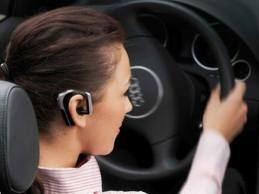 It would be unpopular; many motoring organizations (including the NRMA) think it’s going too far, and newspaper surveys suggest that around two thirds of respondents wanted hands free phones, and are against any changes in the legislation. Do you think is it right, will it happen? Have your say below. 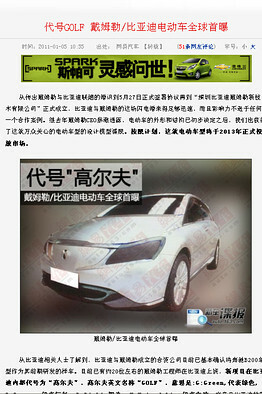 BYD is a Chinese car company (BYD = Build Your Dreams). Easy to ignore, unless one of the world’s canniest investors says differently. Not only says – but acts. Warren Buffett bought 10% of the company a couple of years ago investing $230 million. So there must be something special about BYD. They caught the interest of the British Broadcasting Corporation (BBC) and they interviewed the founder, Chief Executive and Chairman Wang Chuanfu. What has emerged from their interview is one of the most astonishing stories of a company’s expansion in modern history, with huge implications for future transportation. Wang Chuanfu was a government scientist when he borrowed the equivalent of $300,000 fifteen years ago to make batteries for mobile phones, in Shenzhen in Southern China, just north of Hong Kong. He had a staff of 20 employees. The company flourished so much so that it expanded into making automotive batteries ten years ago. Yet again, it flourished, and in 2003 it started to make complete motor vehicles. By 2009 it was producing nearly half a million vehicles a year, (to put this into perspective, that would account for nearly half of all motor cars sold in Australia last year). Just two years ago it launched the first petrol/ battery powered hybrid car in China. 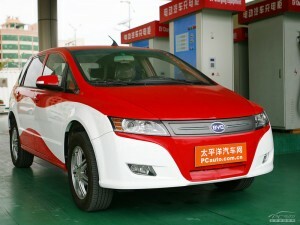 It was a huge success and BYD now employs over 200,000 workers. So when the Chairman talks it’s worth listening to. Interviewed by Peter Day, Wang Chuanfu says that BYD will be the largest car manufacturer in China by 2015 and the largest in the world by 2025. Big claims, but can he back it up? On the basis of their current speed of growth you have to take them seriously, but even more so when you see their current product range. China has no petrol reserves, so the country is totally dependent on foreign oil – a position that they find uncomfortable. They need to limit their dependence on foreign oil, and are thus very keen to help with the development of battery powered vehicles. In fact the cost in the showroom of a BYD F3 ( the battery/petrol hybrid) is nearly 50% less than its full retail price due to the subsidies received from both the national and local governments. It retails for less than $14,000. Such assistance from the Government has naturally led BYD to concentrate on its development of the electric vehicle, and they are making amazing progress. Currently there are virtually no fully electric passenger cars on the market in Australia, the exception being the Mitsubishi i Miev (leased out to some government agencies). Its range is 150km before a full overnight recharge. BYD has already produced a taxi that is fully operational in its home city with a range of 300km between full recharges, and 200km before a part charge that takes less than an hour! That means that they have a fully operational 23 hrs out of 24 electric taxi that can cover 400kms each day.They claim that by 2012 they will have a 400 km range electric car in production for the Chinese market, and it won’t be much longer before they start an export programme for the long range electric cars to the USA, Europe and possibly Australia. Now we can see why Warren Buffett was so keen to invest in this operation. For the Australian motorist it is pretty clear that electric cars are going to play a crucial role in Australia’s automotive future. One of the charges often levelled against enthusiastic drivers is that they are “road hogs”. “They think they own the road!” is a common complaint by non-car road users, such as cyclists and pedestrians (and, out in rural areas, horse riders). With the growing concerns about rising petrol prices and about emissions, more people are turning to these non-petrol forms of transport. You may have heard injunctions to “share the road” with what transport experts refer to as “active modes of transport” and avoid being a road hog. Remember that bikes belong on the road. This means that if you have a Give Way or Stop sign in front of you and the bike does not, you still have to give way to the bike, even if it’s the only thing on the road. The bikes have to comply with the usual give way rules at intersections and roundabouts, and so do you – having more power and seats does not give you extra rights. If you were living in Holland, you would have fewer rights: over there, if a car collides with a bike, the car is assumed to be at fault unless they can prove otherwise, with the responsibility for that proof being on the car driver. Don’t drive in the bike lane. The bike lane is designed to keep slower cyclists out of your way so you can overtake them easily. It is not designed as an extra lane to allow you to overtake the car in front of you, or to get to the front of the queue at the lights when you’re turning left. Nor is it designed for parking in. Don’t drive on the pavement. You might think that this is a statement of the obvious, but when I used to live by a busy intersection where a huge line of cars used to queue up at the lights, I often saw people trying to get to the head of the queue at the lights “because I’m turning left and all those people in front of me aren’t” not only driving in the bike line but also getting a wheel or two up on the pavement and driving along to the head of the queue like that – even though I was walking on the aforementioned pavement with small children. So it does happen. Don’t do it. Give bikes a bit of space. They are less stable and may need to dodge road hogs (not like you) who drive in the bike lane, open car doors in front of them, etc. and swerve to one side. They are also less stable and can tip over if a sudden strong gust of wind takes them unawares. A good rule of thumb is to keep at least 1.5 metres clear of a cyclist when you pass just in case he or she falls over as you pass. If you drive near an area where lots of pedestrians and cyclists are likely (e.g. near a school), slow down and be prepared for them. Be polite and considerate. You may not be obliged to stop and let a waiting pedestrian through if they’re stuck on a traffic island in busy traffic, but it’s a nice thing to do if you wave them through. Consider it a random act of kindness and a way of making the world a friendlier place. If you have to negotiate a mob of sheep or cattle being herded along the road, pull over to the left and slow to a crawl. Again, don’t blow your horn. Sheep run straight ahead rather than to the side and if one sheep runs, others follow. Cattle are large and able to dent your vehicle (Buttercup can think that your wing mirrors make a handy scratching post if you stop). Goats go everywhere. If a collision is inevitable, don’t hit the dog. One of the main gripes many have about road hogs is in their inconsideration of other road uses. When you’re out driving, a road hog is easy to spot. They will go right up the back end of a car in front. They will intimidate till the last moment before pulling out and passing at the slightest sniff of a gap in oncoming traffic. Often, but not always, they drive big vehicles or fast vehicles. It’s good to be patient and to keep your distance from other cars around you. 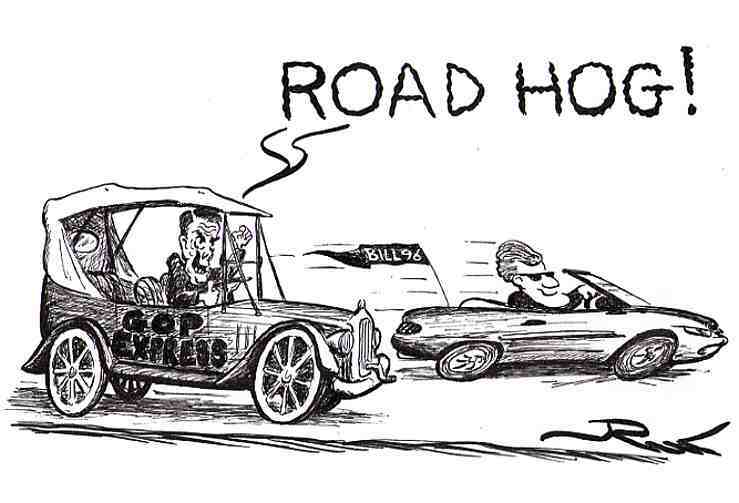 I’m sure road hogs are more stressed! Great Wall Motors on the move. Great Wall: What a name for a car! However, it’s not all about the name. But I do think they could have come up with something a little more romantic or exotic. Something with a little more panache would have served them better. Shuan means river, and it has a nice elegant sound to it. Shan means mountain. Shan XR8 would do the trick. Perhaps not Dong, Lu or Ning. Fukien means ‘happy establishment’, but for the European it sounds a little close to… something else. Some poor soul has to get the lucky job of naming a vehicle for a country with a different language and culture. I shouldn’t poke too much fun at the Great Wall Motors car manufacturing team, as, globally, the vehicle sales are definitely picking up. And you definitely can’t argue with the price. A Great Wall Motors 4×4 SUV vehicle is only going to hit you up for under $24k in Australia. With ABS, airbags and a number of high end features onboard, Great Wall Motors can’t be beaten on value. With this sort of competition, one thing I do hope will happen is that a new Mercedes Benz or BMW might become a little cheaper for the average Joe Bloggs. All Great Wall models come with a three year/100,000 kilometre warranty. And this is as good as you’ll find elsewhere. So far the Great Wall utes and SUVs are standing up to the test. Would I buy one? I definitely would if I had the need. I think that the new price holds so much ‘bang for the buck’ that for three years, at least, you’ve got it made. For the same price, the alternative vehicle would be someone’s discarded work vehicle with medium ks on it – and not under warranty. I know which one I’d prefer. When you are talking about a car’s aerodynamics, you are talking about the car’s design. You are also talking about how easily the car’s bulk and total surface area can slip through the air particles. Air friction causes drag on a car’s exterior while it moves through the air. The less aerodynamic a car’s design is, the more drag the air particles will have on the car’s exterior surface. A car’s drag coefficient expresses this friction. Obviously, a car with a lower value of drag coefficient, the slipperier it is through air. The drag coefficient is always associated with a particular surface area. Well then: I wonder what the most aerodynamic car is in the world. Aerodynamics is hugely important to keeping your fuel bill down. And because aerodynamics has so much to do with fuel consumption, this is such an important area for any automobile design team member. Think about the cars that you look at every day. Think about the car that you drive. How do you think they would compare to the likes of the 2009 Mercedes Benz E Class Coupe which has a drag coefficient (Cd) of 0.24. This E Class Coupe is exceptionally slippery through the air. The Honda Insight combines its Cd of 0.25 with a hybrid motor. The result being that the Insight is one of the world’s most fuel efficient cars. And I’m sure that you’ve heard of the Toyota Prius. The Prius has a Cd of 0.26, and is also a hybrid vehicle. Obviously, the Merc’s bigger performance engine lets the fuel consumption get away a bit. The lower mass – as well as the hybrid engines – favour the two hybrids -making them exceptionally fuel economic. Both the hybrid cars manage well under 4 litres/100 km fuel consumption. Now… I’ve found what I was looking for. The most aerodynamic car ever produced in the world was the General Motors EV1, with a Cd of 0.195. 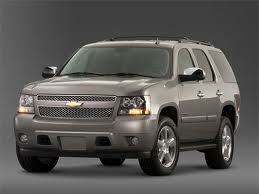 Below is a picture of what the car looks like. Not totally practical, but efficient none the less. Looking at some of the sweet exterior designs that a number of production cars are coming out with these days – Audi’s TT, Alfa Romeo’s Brera, the Mazda 6 range and Peugeot’s range of cars – I wonder how their drag coefficient rates. Enzo Ferrari once said that “aerodynamics is for people who can’t build engines”. However, aerodynamics is paramount today. Car manufacturers have a lot on their plates at the moment: A world recession, India’s and China’s ever increasing presence in the modern automobile world, fuel price rises and consumers’ fickle tastes. It doesn’t make an automobile manufacturer’s life easy. Handling all of these issues at once must be a difficult task. But, we can do our bit. How about considering a car’s fuel economy and drag coefficient next time you come to purchasing a new car.